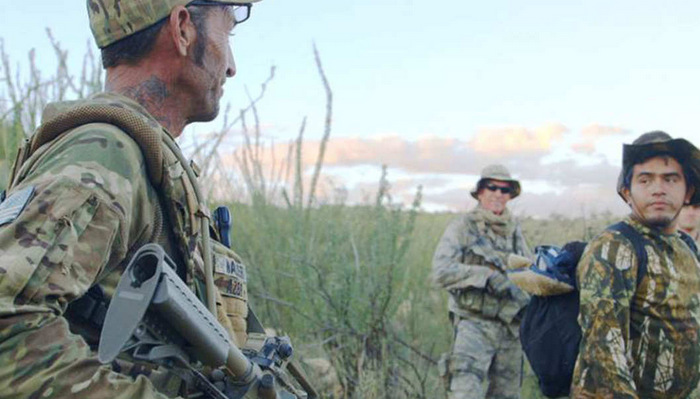 Cartel Land spends most of its runtime with the men and women on either side of the US-Mexico border, but it opens amidst the men working for the cartels, gathered under cover of darkness to cook their drugs and appeal to the camera—they are people, and people have to work. After all, if God minded their little cook op, he’d smite them down right quick. And that would be that. Their peculiar bookends – given by tertiary characters with a direct hand in “polluting the populace” – provide an extra shade of depth to a documentary at first intent on chronicling the horrors perpetrated on the Mexican people in the name of the cartels that is then mixed up – like acetone, sulfuric acid and antifreeze – with the morally gray mater of self-righteous vigilantes taking up arms to protect their gente. That isn’t to say the film wallows in misery and hopelessness, although it certainly dabbles in both. Director Matthew Heineman weaves two stories of vigilante justice, centered on two men doing their best to combat the seemingly all-powerful cartels; one on the US side of the border in Arizona, and the other in the southern Mexican state of Michoacán. While the film does its best to service both sides of the story, the latter almost immediately overshadows the former—in Michoacán, the people are practically engaged in all-out trench warfare for Mexico’s soul. In Arizona, they’re just patrolling a few square miles of desert to make sure they don’t get their jobs took. 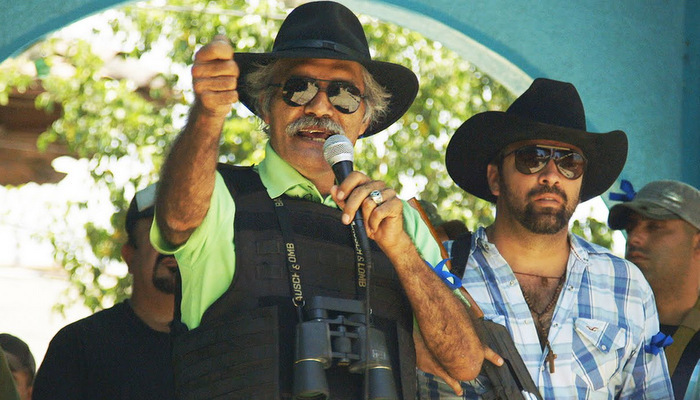 A Michoacán vigilante group, the Autodefensas, grows in numbers by recruiting shabby townsmen a la Braveheart to oppose the cartel violence growing in their state like a cancer. Under the leadership of the magnetic Dr. José Manuel Mireles, the Autodefensas wage all-out, semi-automatic war against the cartel gangs, with federal officials standing on the sidelines shrugging, more an inconvenience than anything. Then the hopelessness begins to take hold. The cartels won’t go down so easily, and a series of revelations late in the film reveals how powerful these terrorist groups really are. Mireles is a symbol at the forefront of this movement, but he’s also a deeply flawed individual. I wish I could say his downfall was surprising, but given the state of Mexico presented in Cartel Land, no amount of injustice is truly surprising. Elsewhere, another vigilante group headed up by veteran and former drug addict Tim “Nailer” Foley diligently patrols a region along the Arizona border colloquially known as Cocaine Alley. Foley resents the negative implications of the term vigilante—he isn’t hanging men from trees – though that stark imagery serves to remind us how scary united rednecks can be – but is simply doing his best to fight forces he believes to truly represent evil. With polaroids of severed limbs and heads and anecdotal accounts of babies smashed against rocks (anyone else getting a taste of George R.R. Martin?) as evidence, the cartel’s evil does rival one of archetypal nature. Like Mireles, “Nailer” is a man with a strong sense of authority and is likable enough, despite the questionable political leanings of his cohorts—one man troublingly compares two races living in one nation to two pit bulls locked in a room. Foley’s story is surely interesting, but it often feels like a distraction from the unending, gun-toting, double-crossing action happening a thousand or so miles south in Michoacán. Thankfully, it’s one of the film’s few flaws. 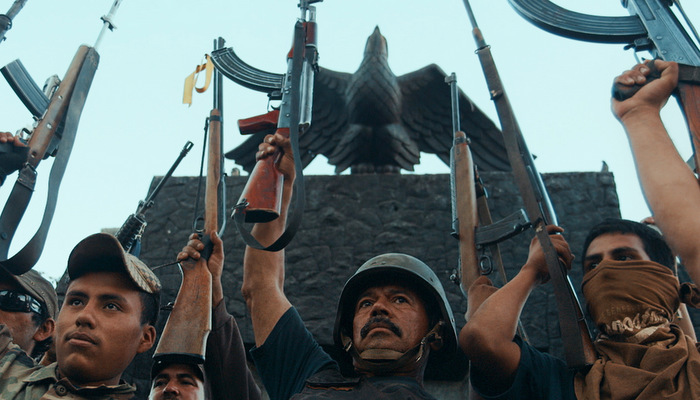 Cartel Land works as both a character study and a real life political thriller, tackling issues oft lest to wrestle on some cordoned-off floor in the Capitol Building. But this blood match takes place in the open with Heineman’s spotlight sweatily beaming down. Mireles and Foley both have their reasons, their demons, that drive them to lead their separate assaults against the cartel, and it’s to Heineman’s credit that both feel like fully fleshed-out characters rather than shades of black and white. They become all the more interesting because they live in a world gone mad, more insane and unsafe than any fictional lurid crime thriller. As goes the great, tragic, Twainian adage, the truth is stranger than fiction. Like any great thriller, Cartel Land is chock-full of powerful, illustrative images, and Heineman’s cameras capture each moment in striking, affecting detail—families sobbing over mass graves, people gathered around a dingy TV set to watch the president speak, severed heads on a concrete porch, a cartel member smoking through a bandana obscuring half his face, men on either side of the law clutching rifles proudly as they stare into the sunset. Heineman and his crew find plenty of aesthetic beauty to cement all the tragedy. It’s easy to get lost in the story, so easy that viewers might forget they’re watching a documentary. Occasionally, as when the Autodefensas raid a heavily armed cartel compound, I had to remind myself that there were men behind these cameras risking their lives for this astounding footage. Kudos to them for putting themselves out there, and for somehow resisting the urge to whisper, “Holy sh*t, I’m going to die” every few seconds, as I surely would have in their place. The plot description for the film boasts that the filmmakers had “unprecedented access.” It certainly pays off. Watching Cartel Land is harrowing, the closest I’d ever want to get to the depravity of these border/drug wars. But despite all the access they were allowed, the filmmakers can’t really offer any answers (how could they?). Rather, they produce a tactful, cumulative chronicling of the problems facing both sides and how a movement for justice eventually stumbles. Without giving too much away, the greatest asset of the cartels isn’t mere brutality, it is infiltration. The anonymous cartel members who open and close the film say they don’t expect to ever be out of a job. They don’t believe anything can put an end to the drug trade that causes so much grief, violence and death throughout their nation. 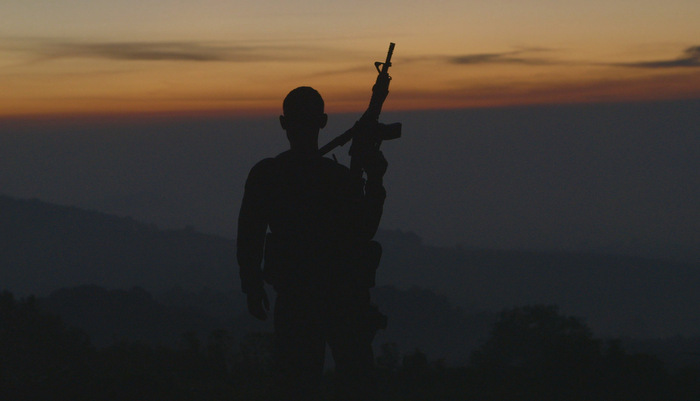 Cartel Land does its best to refute their claim, to search for some kind of light at the end of the tunnel. But sans the artifice of a flashlight, the future may hold no illumination, near or distant. In a film full of disturbing images and even more harrowing implications, I was most troubled by the realization that the cartel members might just be right. 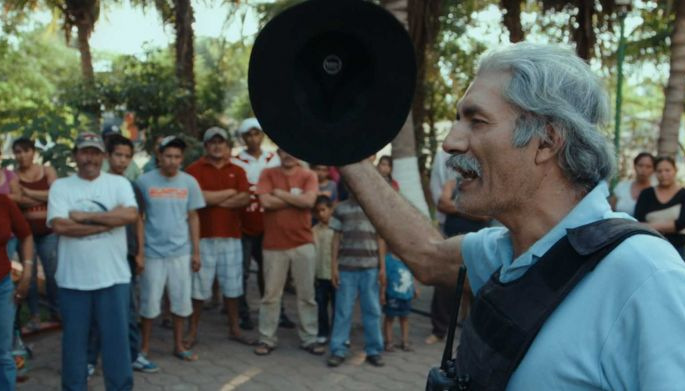 This entry was posted in Documentaries, Out in Theaters and tagged Cartel Lands, Dr. José Manuel Mireles, Matthew Heineman, Out in Theaters, Reviews, Tim Foley. Bookmark the permalink.